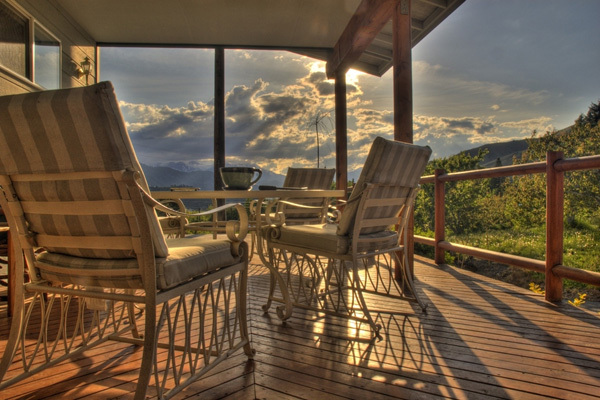 Verandahs, balconies and decks are a part of the home that has immense possibilities. 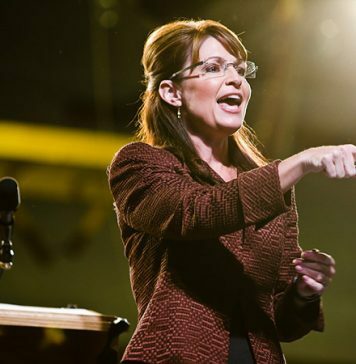 They can be retreats for a much-needed break. 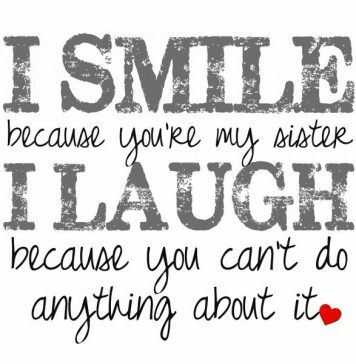 They can be a place where family and friends gather together for a fun-filled party. They are a status symbol because of the wood finish. They can be converted into a cozy lover‘s nook if desired. 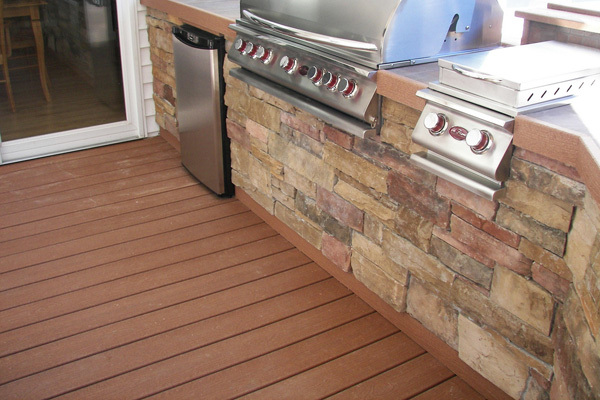 These are some innovative deck design ideas that will suit a variety of tastes and fit a variety of budgets. From small and simple to stylish and ornate, one can choose the type that suits one’s liking. 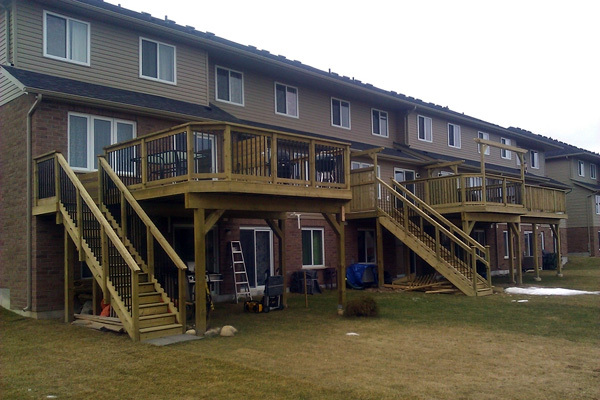 A deck is just like a balcony or a verandah that has many uses. It can be treated just as a landing. It can be utilized to take a break from routine in your own home. 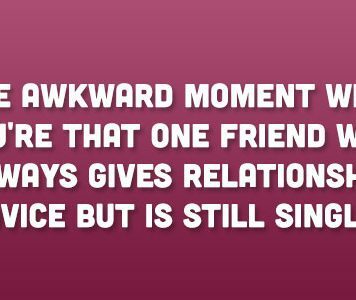 It can also be a place where you can collect some friends and family members for a small luncheon or dinner party. Decks have a wooden floor that looks classy as it is. Add a little greenery around it and you have a haven in your home. Add a barbeque and grill and it has delicious possibilities. If you like this article, you might be interested in some of our other articles on Closet Design Ideas, Retaining Wall Ideas, Backyard Design Ideas and Outdoor Patio Ideas. This looks like it must be someone‘s private sunset point, where you can sit on the garden furniture and watch the sun go down. 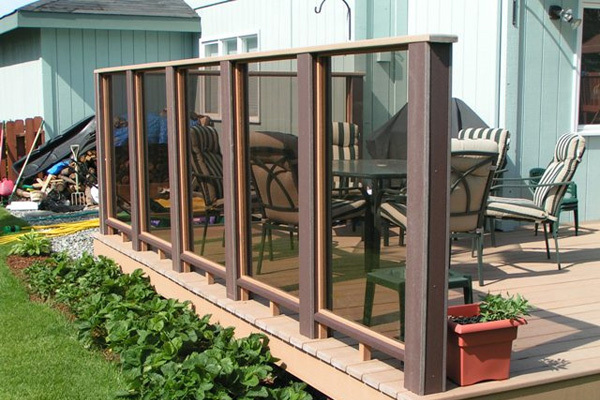 The wooden deck and fence with its awning looks very comfortable and welcoming. This must be the most asymmetrical deck design in the world. The deck has been created along the shape of the wall hence its odd non-geometrical shape. The classy wood finish of the floor and fence makes it a great art work. 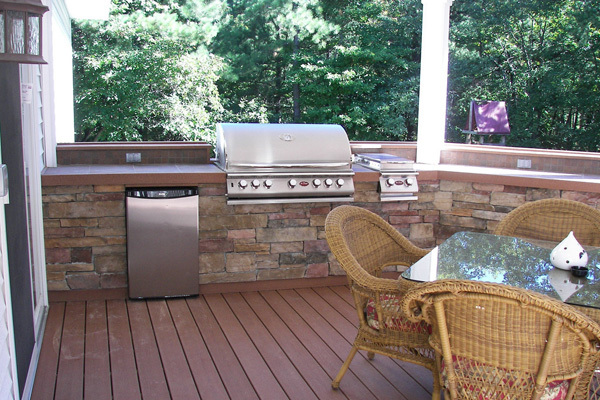 If you own a deck designed like this one, you must be having your special breakfast corner in the open air each day. This superb wooden floor, garden furniture and sun umbrella is just the perfect retreat for a peaceful meal. The bright green adjustable recliners in this deck design are a perfect match for the wooden flooring and the superb greenery around the deck. 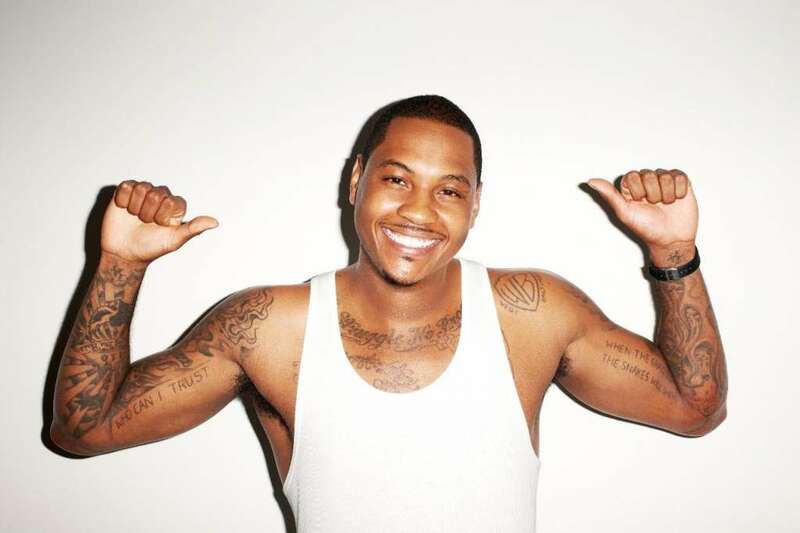 Makes you want to take a break from work right away. 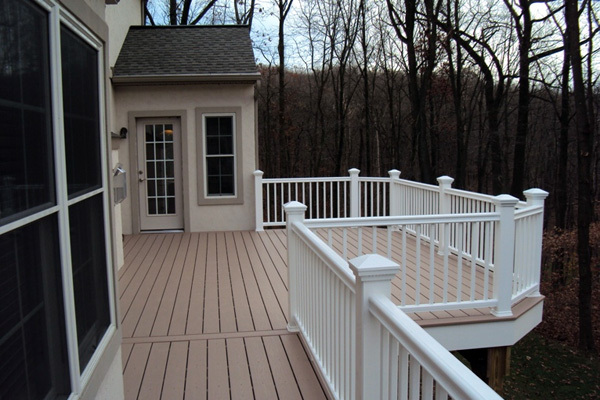 This picture shows a simple yet classy deck design. 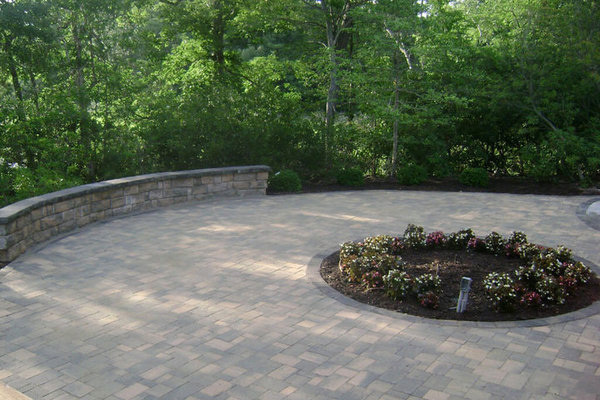 The circular form with pinkish gray flooring and a little patch of grass in the center gives it a very welcoming and homely look. Cedar wood has a very classy look. 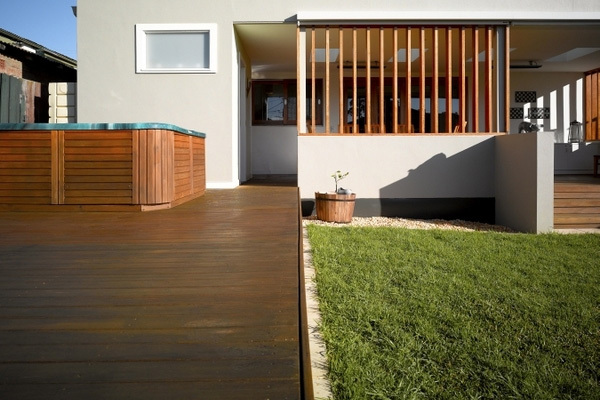 This cedar wood deck design looks top class as well as very roomy. It has an essence of fresh air and sunshine along with a lot of space for a great family gathering. This is a deck design worth copying despite its simplicity. 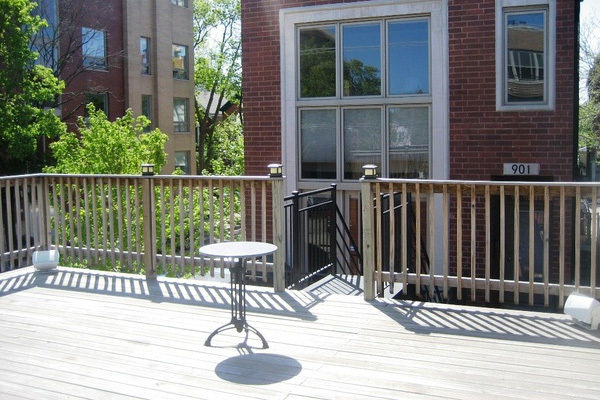 Each wooden deck has its own wooden staircase making a lovely and stylish looking exit point for the two-row houses. 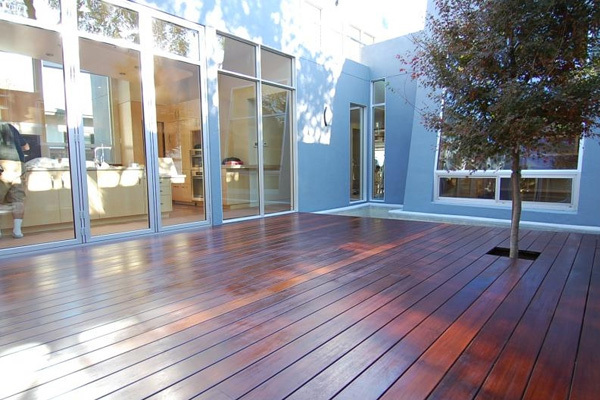 A deck design like this one is very inviting. The wooden benches match the wooden slats of the deck to blend in well with the surrounding greenery. It would serve very well for as a family holiday retreat. The three steps lead onto a classy wooden deck at the entrance of this house. 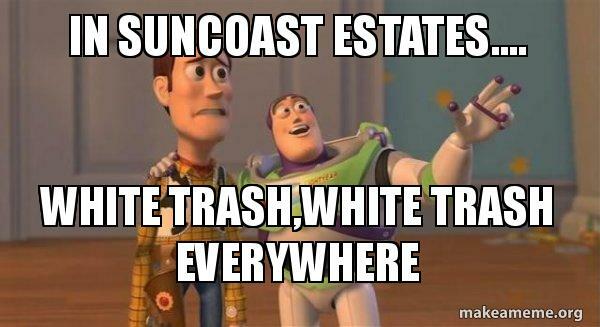 It has a touch of class that is worth copying. The bright sunlight gives it a very summer-house kind of look and reminds you of vacation fun time. 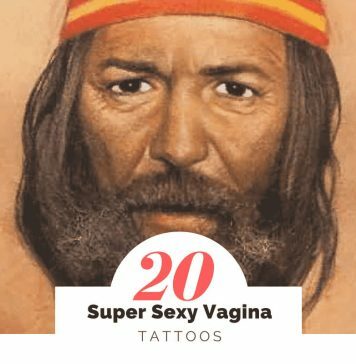 This is a unique idea for a deck design. The usual wooden deck with comfy chairs has been augmented with a partition of sun screens. This is great for those family or friends who don‘t like sitting in direct sunlight. 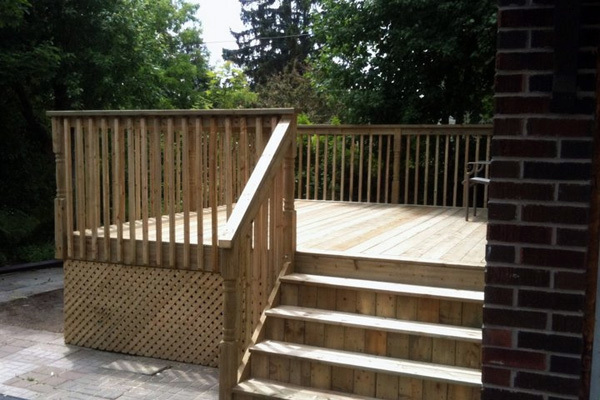 The deck in this snap has been designed with classy wood finish that has a fresh air and beautiful country house look. The slanting sun‘s rays and a small shaded part are very inviting for a family break. 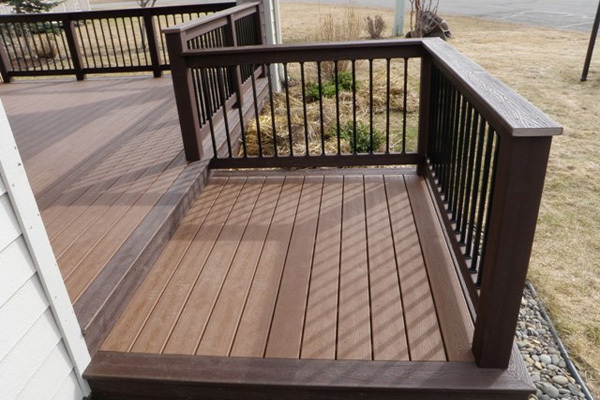 This deck design has a touch of class without being too ostentatious. The wood work in muted gray goes well with the greenery around and the lounger just invites you to sit back and relax making it perfect for a weekend break. 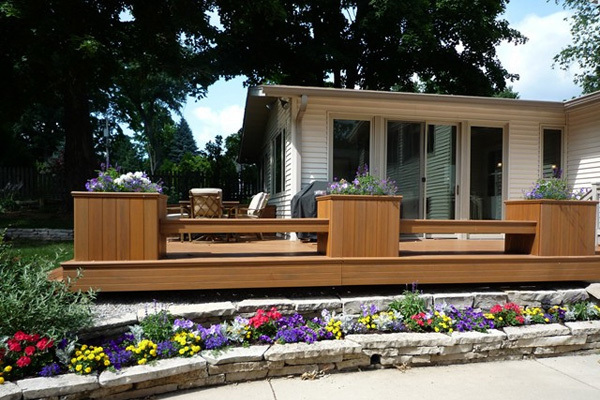 What could be more relaxing than a deck design that merges into a well maintained lawn? This design makes use of wood and nature such that it has a very welcoming and comforting look. 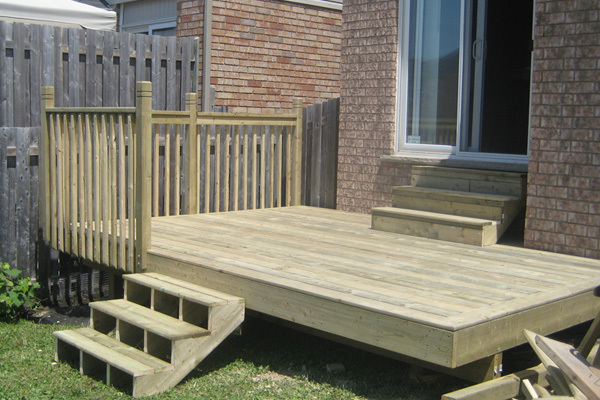 When there is a lot of space to utilize, this deck design serves the purpose very well. 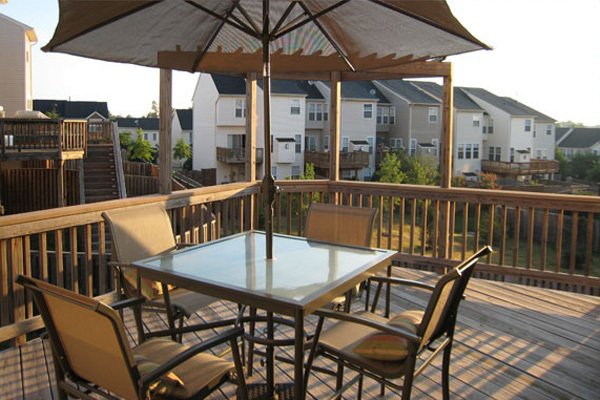 The deck with its garden furniture and wooden fence is just meant for a relaxed breakfast during a summer vacation. 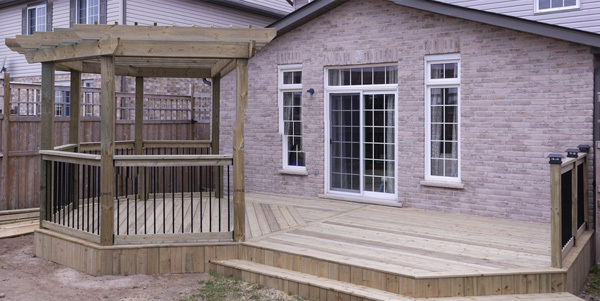 For a compact space, this is a perfect deck design. 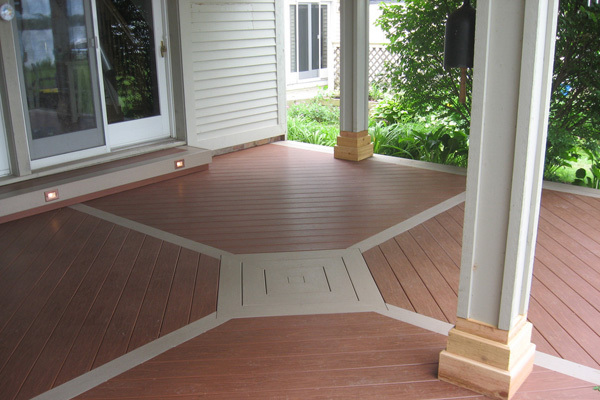 The two steps lead onto a smallish deck that leads into the main door. It is perfectly suited for a small house. This is a very creative idea among deck designs. The leaf-shaped deck is elongated in shape with no fencing. The open type design makes it a very classy structure that would suit a modern home. 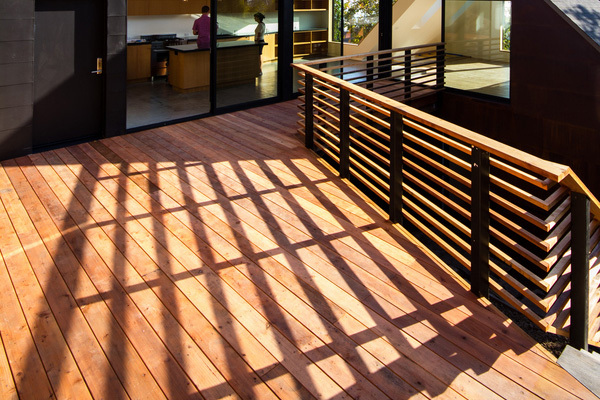 This is an unusual combination of light wood for the floor and dark wood for the fencing making it a unique deck design. It has a compelling look that makes you want to keep some garden furniture and relax in the summer sunlight. 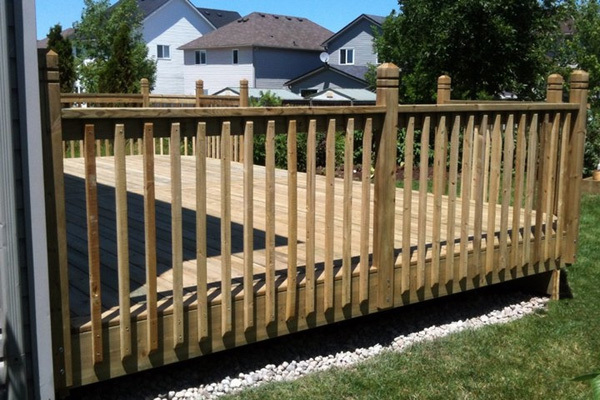 The use of whitish wood for the deck along with light brown wood for the fence has made this a superlative deck design. 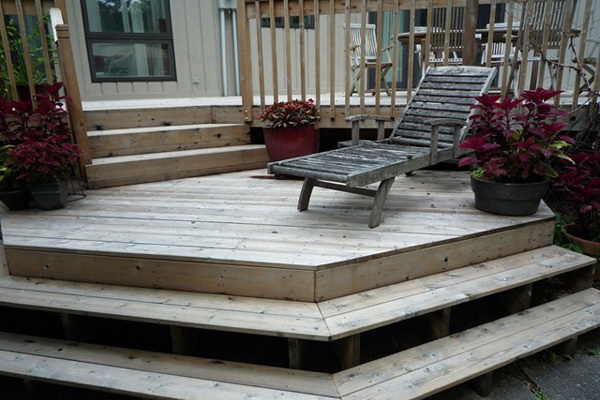 This size deck would be wonderful for a small gathering of friends and family for a summer luncheon party. A hexagonal deck like this one looks really superb. The floor with light-colored wood and the darker fence has made it look like a verandah that is saying “use me“. This deck has been designed with pinkish wooden slats that look more like roof tiles. The unusual combo of red and white makes this deck design a class apart from the rest. 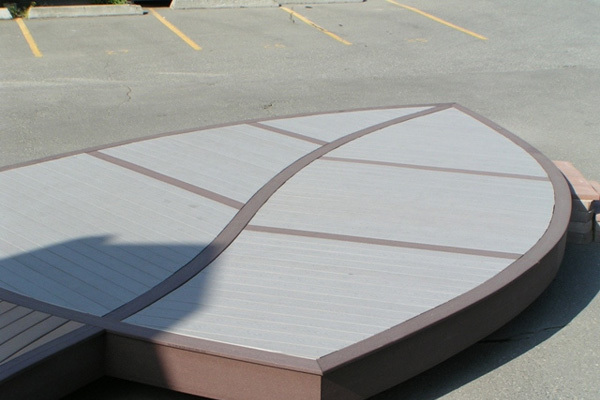 This wooden deck design is perfect for a small party in summer. The reddish wood of the floor combines with the grayish table to remind you of a family get together or summer vacations with friends. The wooden deck in this house is a classy L-shaped retreat. The abundance of space is the best asset of this design. Also, the reddish wood looks superb in the sunlight filtering through the trees around the deck. This is a great idea for a deck design. The simplicity of the square-shaped deck has been compensated by the use of alternating reddish and brownish slats for the floor with a fence in dark wood. 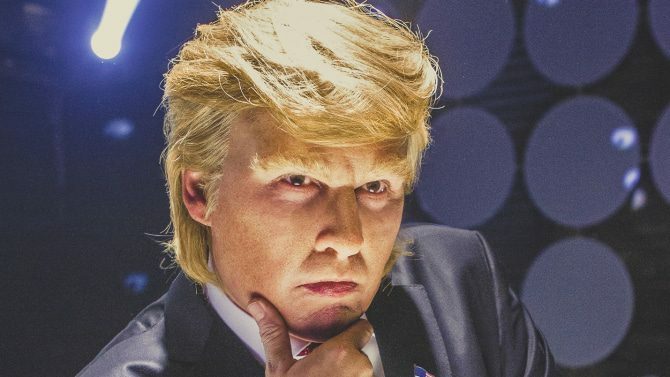 The combo looks superlative. This is class apart among deck designs. The simple wooden flooring and rattan furniture is very inviting on its own. Then you notice the barbeque and grill at the far end and you want to own something just like this. 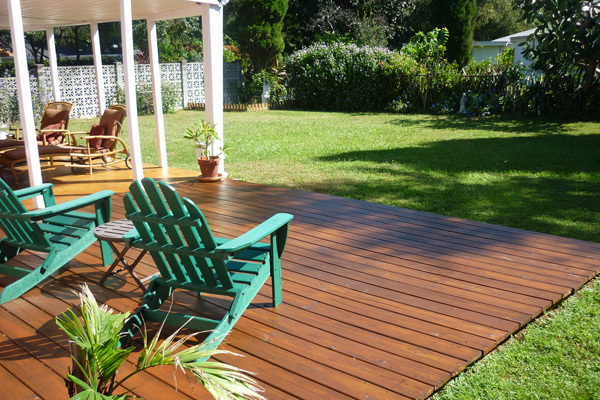 A wooden deck is synonymous with summer vacation, holidays, family parties and hanging around with friends. 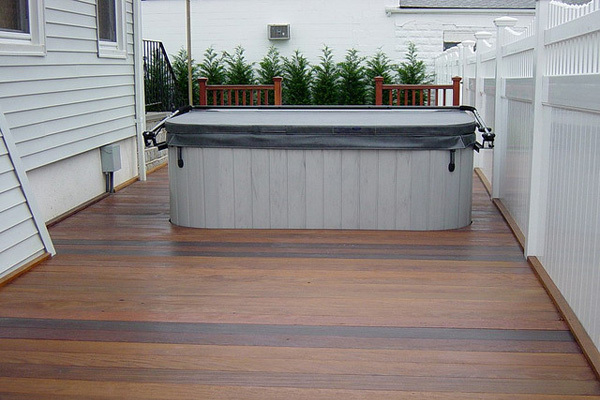 This deck design with its reddish wood finish and its spacious look is perfect for all these activities. 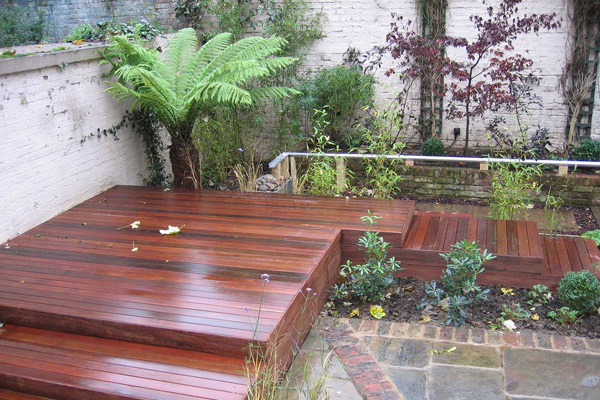 A wooden deck looks very classy in the garden. 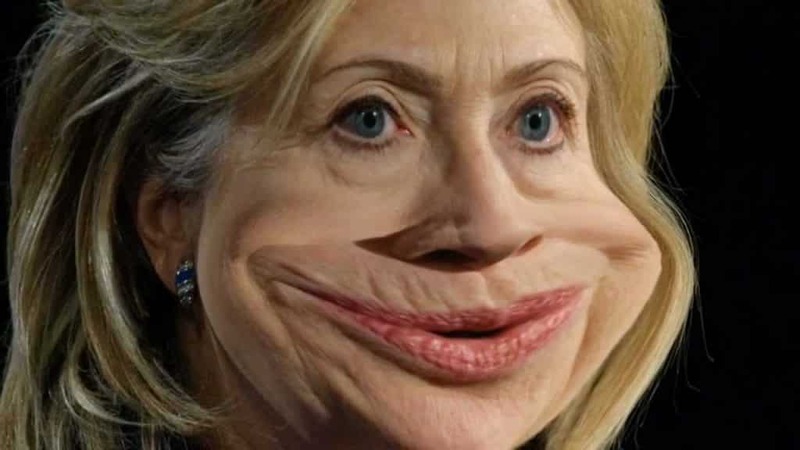 But when it is a raised one like this, then it goes beyond class. 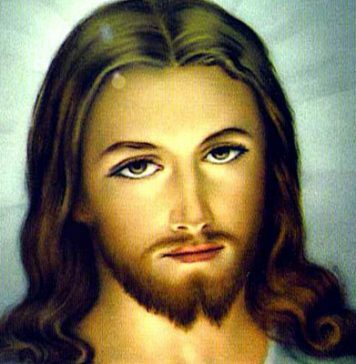 It becomes superlative because of it is useful and has an appealing look. When the sliding glass windows lead onto such a superb deck, it is a temptation to take a break and relax. 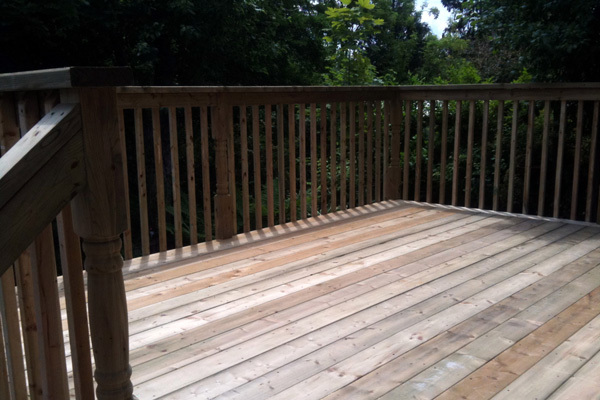 The redwood finish of the deck and the white wall balance each other to create a comfortable and inviting nook. 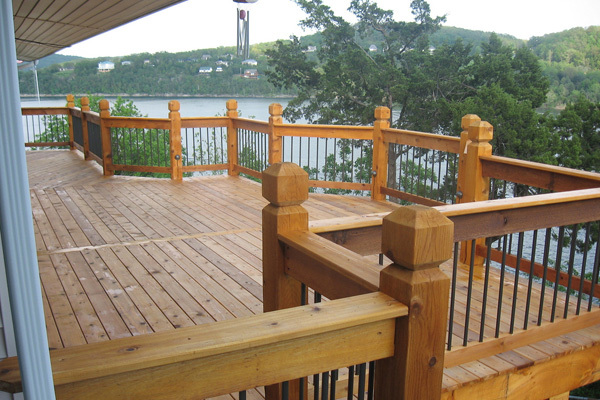 A deck like this one with its light pinkish wooden flooring and white railing looks very classy. It speaks of summer relaxation and weekend breaks with friends and family. 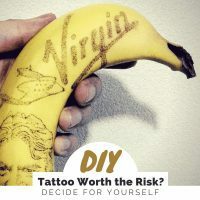 This deck design is very simple as well as serviceable. There is no need for railings when you are a nature lover. 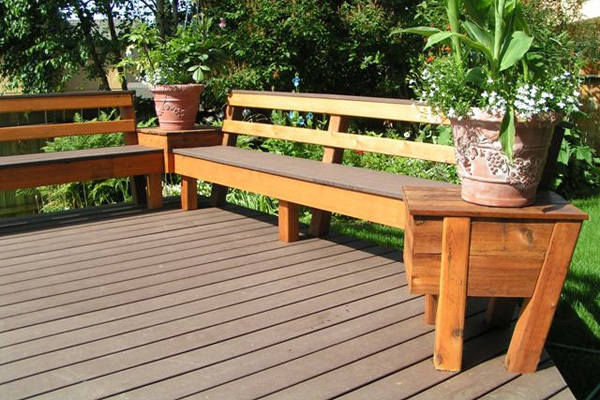 The simple wooden deck, fresh air and sunlight are all it takes to be happy. 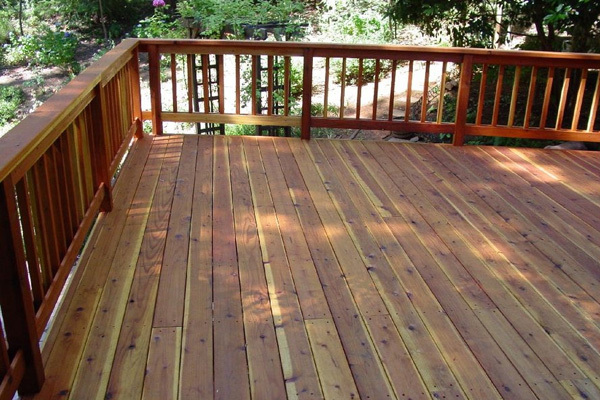 A deck has an inherent warm and welcoming look because of the wooden floor. When you add a barbeque and grill it transforms into a summer haven for friends and family where you can party at day or night. The stonework near the BBQ has added a touch of class that is unmatched. Al nice, I think the ‘Sunset point’ is one of my favioute ones.